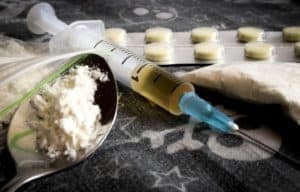 There is some evidence that ibogaine, which is illegal under federal law, is effective in treating heroin addiction, although further research is necessary. Curing heroin addiction is a complex task. The condition is chronic, recurring, and claims the lives of thousands of Americans each year. Sufferers and their loved ones want there to be a known cure, but there is no easy fix despite years of research. Treatment options are available, but they don’t necessarily “cure” heroin addiction. Heroin addiction requires extensive treatment, and even with that, many people unfortunately relapse. Sadly, many have lost their lives in association with relapse, overdose, or health complications related to their addiction. But what if there was a drug that could cure heroin addiction in as little as 30 hours? According to human anecdotal reports, ibogaine, a mind-altering psychedelic drug, may be the answer. Unfortunately, ibogaine remains illegal under federal law, so little research has been conducted on its efficacy and safety. This article will discuss ibogaine treatment, the research that has been conducted, and the potential risks of use. Its development as a treatment for heroin addiction has taken place primarily outside of traditional clinical and medical settings, as the drug holds a Schedule 1, federally controlled status, making formal research opportunities in the United States virtually impossible.1 It is also illegal in France, Sweden, Switzerland, Denmark, Belgium, and Australia, but is largely unrelated in most other countries. Ibogaine is often distributed in informal settings and clinics.1,2 Despite it being illegal, there are many anecdotal reports of ibogaine’s success from Americans who have taken the drug illegally or traveled to other countries for treatment. The acute phase, which begins about 1-2 hours after use and lasts for 4-8 hours. This phase is characterized by an intense emotional experience and dream-like visions. Users typically report experiencing intense visuals, strong emotions, visits with archetypal beings, and a panoramic recall of their life memories. Some users even report communicating with deceased loved ones. The evaluative phase, which occurs about 4-8 hours after use and lasts between 8 and 20 hours. This phase is characterized by a shift from the external to the internal. Patients tend to be introspective and they reflect on their experiences form the previous phase. It is during this stage that users can think critically and gain insight about their addiction as well as other life experiences, relationships, and decisions. The final phase, which occurs anywhere from 12 to 24 hours after use and persists for 1-3 days. This phase is characterized by a gradual “come-down” from the drug, returning to their normal state. 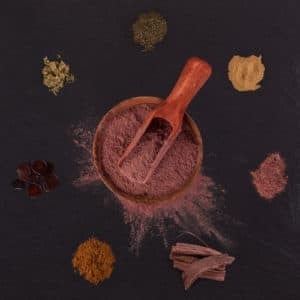 Ibogaine has shown significant promise in treating addiction, particularly when used in combination with social support, psychotherapy, and other traditional and structured treatment modalities. That said, it is currently not approved by the Food and Drug Administration (FDA) as a treatment for heroin addiction, as it is deemed that further research and evaluation is still needed. Ataxia, or a loss of control of body movements. In addition to some of these commonly-experienced ibogaine side effects, there is a risk of more serious complications, including death. While previous research has shown ibogaine to be a potential neurotoxin, re-evaluation of animal studies has demonstrated this only to be true at doses much higher than those needed to achieve the drug’s anti-addictive properties.6,10 However, some people have experienced severe adverse reactions, many of which are cardiovascular (e.g., arrhythmias, sudden cardiac arrest).10 For this reason, a person with known heart problems should never take ibogaine. Other reports of toxicity were due to drug-to-drug interactions.11 Because there is not enough research surrounding its effects, there is no way to ensure a safe experience when taking ibogaine. Still, due to the associated risks, legality issues, and lack of research, there is no current push for FDA approval of ibogaine as treatment for heroin addiction. Further research and evaluation needs to be completed to determine if the drug is a safe and effective treatment for addiction. Global Ibogaine Therapy Alliance. (2017). Ibogaine Legal Status. Drug War Facts. (2018). Ibogaine. Davis, et al. (2017). Subjective Effectiveness of Ibogaine Treatment for Problematic Opioid Consumption: Short- and Long-Term Outcomes and Current Psychological Functioning. Journal of Psychedelic Studies: 1(2), 65–73. Brown, T.K., Arper, K. (2017). Treatment of Opioid Use Disorder with Ibogaine: Detoxification and Drug Use Outcomes. The American Journal of Drug and Alcohol Abuse, 44(1): 24–36. Litjens, R. P. W., & Brunt, T. M. (2016). How Toxic is Ibogaine? Clinical Toxicology, 54(4): 297–302. Global Ibogaine Therapy Alliance. (N.D.). Is Ibogaine Therapy Safe?